This ever happen to you? You overhear someone mention a meal or a particular dish and then you just cannot get it out of your head. Similar to having a song ditty implanted in your brain except it's food. Like today, overheard in the office - tomato soup please. 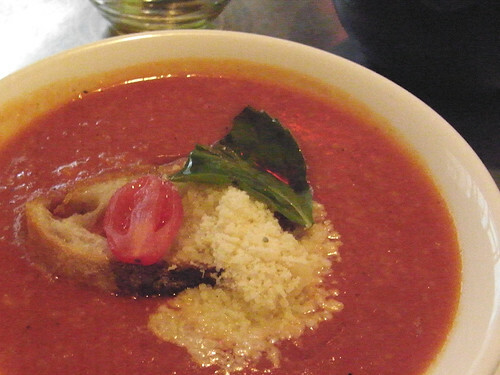 Well then, nothing to do but head over to Bread for their $10 lunch special - a generous hot bowl of tomato soup, half a grilled panini served with a side salad. Warm, filling and perfect for wet fall days.